I am a Teaching Assistant Professor at the Department of Geography & Geographic Information Science at the University of Illinois at Urbana-Champaign. I completed my PhD in Regional Planning from the University of Illinois at Urbana-Champaign in May 2015. My doctoral dissertation explored the changing patterns of social vulnerability in multi-hazard urban environments and how policies and planning (particularly low income housing programs) influence this pattern. My broad research interests are on disaster risk management, climate change adaptation, social vulnerability, housing policy, urban growth management, and geospatial analysis. Professor Bev Wilson at the Department of Urban and Regional Planning was my thesis advisor and my doctoral committee consisted of Dr. Robert Olshansky (UIUC), Dr. Arnab Chakraborty (UIUC), and Dr. Shannon Van Zandt (Texas A&M). Recently I have been selected as one of the 17 CyberGIS fellows across the United States for developing CyberGIS education materials and curricula. CyberGIS fellows program is funded by the NSF-supported CyberGIS project. 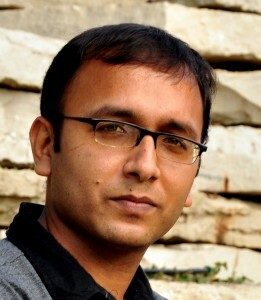 I have also worked as a statistics and GIS consultant for Applied Technologies for Learning in the Arts and Sciences (ATLAS), and before joining the PhD program at the University of Illinois at Urbana-Champaign I have worked as a Lecturer of Urban and Regional Planning at the Bangladesh University of Engineering and Technology (BUET).